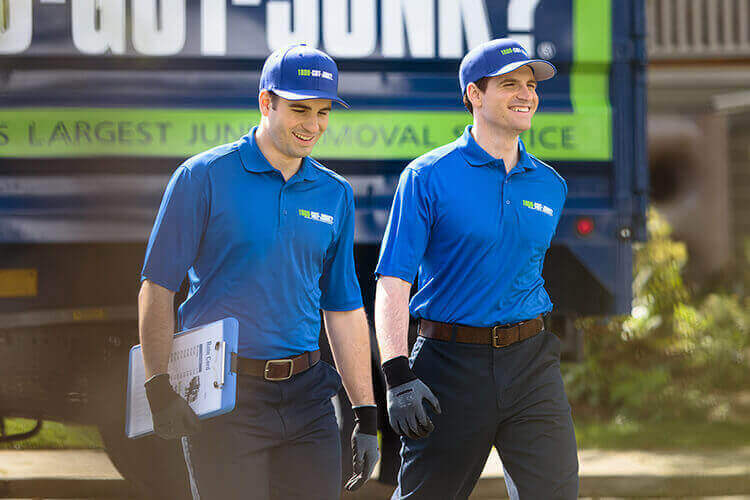 Residential Renovation & Construction Clean Up Services | 1800-GOT-JUNK? Whether it’s a whole new room, a quick update to a bathroom, or installing some new flooring in your home, renovating your home can be a lot of work. The work keeps going even after the bulk of construction is done— renovations can create a big mess to clean up, with all kinds of garbage and construction debris to get rid of. Much of this debris can’t simply be left out with your household trash; there’s often too much of it for your municipal pickup to handle. While you could rent a dumpster, they can be costly and it takes up a ton of space in your yard or on the street. Instead of tackling post construction cleanup on your own, let 1800-GOT-JUNK? take care of it for you. Our teams are fully insured and make residential construction cleanup easy. We can take all types of renovation debris, including wood, drywall, metal, fixtures, appliances, old furniture, tiles, carpeting, and more. We try to ensure all these items are properly disposed of, which means recycling items and their components where possible.